Spring 2018 YA Scavenger Hunt! 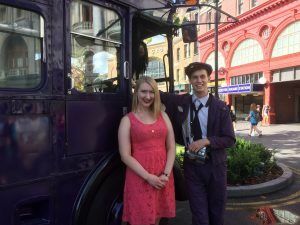 Welcome to the (Sweet) 16th YA Scavenger Hunt! Hello there! I’m Sarah Glenn Marsh, and I’m excited to be your hostess for this leg of the hunt. I have one pointy ear, so I’m basically a half-elf. I love scary movies and books. Kit-kats are my favorite candy. My greyhounds’ names are Grimm and Khaleesi. I’m currently writing my seventh novel! 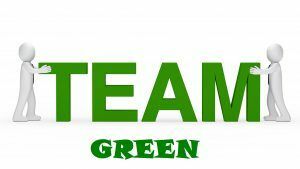 You are currently hunting on TEAM GREEN! HINT: THE SECRET NUMBER IS HIGHLIGHTED IN GREEN! On this hunt, you not only get access to exclusive content from each participating YA author, you also get a secret number. Add up the numbers, and enter it for a chance to win a major prize–one lucky winner will receive at least one book from each author on my team in the hunt! But play fast. This contest (and all the exclusive bonus material) will only be online until noon PST on April 8th! There are SIX contests plus a bonus prize going on simultaneously and you can enter one or all! I am a part of the GREEN TEAM but there is also a RED TEAM, BLUE TEAM, GOLD TEAM, PURPLE TEAM, & PINK TEAM! Check out each team for a chance to win lots of different sets of signed books! INTRODUCING… THE SUPER-TALENTED GINA DAMICO!!! ABOUT GINA: Gina Damico grew up under four feet of snow in Syracuse, New York. 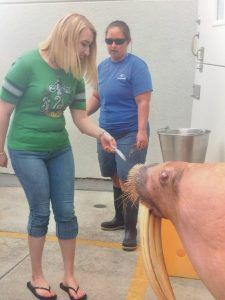 She has since worked as a tour guide, transcriptionist, theater house manager, scenic artist, movie extra, office troll, retail monkey, yarn hawker and breadmonger. 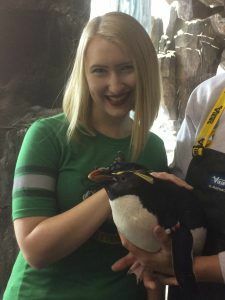 She is the author of the grim-reapers-gone-wild books of the Croak trilogy (CROAK, SCORCH, and ROGUE), HELLHOLE, WAX and WASTE OF SPACE, all published by Houghton Mifflin Harcourt Books for Young Readers. She lives in Los Angeles with her husband, two cats, one dog, and and obscene amount of weird things purchased at yard sales. 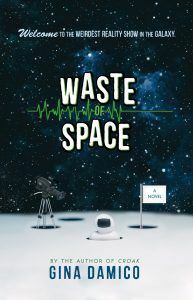 Find out more information by checking out Gina’s website and buy WASTE OF SPACE here! She’s here to tell us about her latest book, WASTE OF SPACE! Cram ten hormonal teens into a spaceship and blast off: that’s the premise for the out-of-this-world reality show Waste of Space. The young cast members are over-the-top, ready to fall to pieces at the drop of a space helmet, and completely ignorant of the fact that the production will be fake. Hidden in a desert warehouse, their spaceship replica is equipped with state of the art special effects dreamed up by the scientists partnering with the shady cable network airing the show. Waste of Space is a tremendous success. Millions of people tune in. Ratings are through the roof. And then something goes wrong. And just as the viewers start to know that something has gone wrong . . .
Now no one can tell what’s real and what’s fake, instability and paranoia loom large, and the only way for the cast to figure out what’s going on is for them to work together. The kids stumble closer to the truth, dread seeping into every corner of the ship as they find out what happens when a reality show loses its grip on reality. 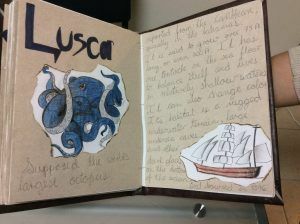 Check out Gina’s original sketch of the Laika, the ship in the book! This is my original sketch of the Laika, the spaceship into which all ten Spacetronauts of WASTE OF SPACE are crammed. I don’t know why the shape of a bottle occurred to me, but since it worked out quite nicely for what needed to happen on the ship, I kept it. 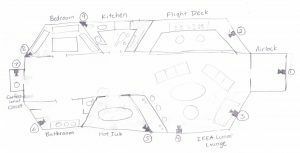 It also allowed for plenty of camera angles – an actual logistical element for a reality television show, but one that also let me explore the narrative from several points of view at the same time. Also, it has a hot tub. Don’t forget to enter the contest for a chance to win a ton of books by me, Gina Damico, and more! THANKS FOR VISITING MY WEBSITE! While you’re here, don’t forget to enter the Rafflecopter bonus contest I am running exclusively during the YA Scavenger Hunt. 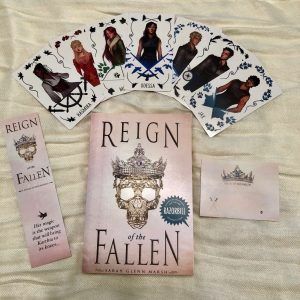 The grand prize winner will receive a hardcover copy of my latest book, REIGN OF THE FALLEN, along with a full set of 7 character art cards!!! 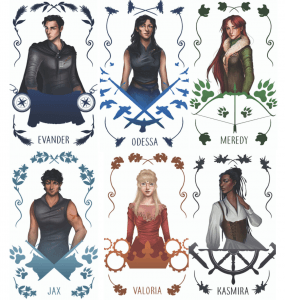 Two runners-up will receive a full set of character art cards! Like this…except the book will be a *finished copy,* not ARC! Bookmark and art cards included as shown (no bookplate)! SCROLL DOWN TO ENTER VIA RAFFLECOPTER! 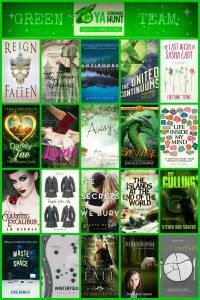 And now…CONTINUE THE HUNT by checking out the next Team Green author, L.H. NICOLE!!! GOOD LUCK, AND HAPPY HUNTING!!!! A Star for REIGN OF THE FALLEN *and* A New Picture Book Deal! *MARSH, Sarah Glenn. Reign of the Fallen. 384p. Penguin/Razorbill. Jan. 2018. Tr $17.99. ISBN 9780448494395. 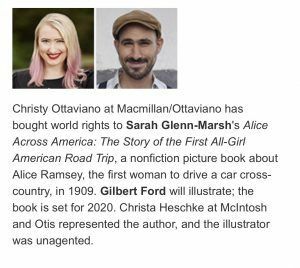 The second thing I’m thrilled to share is that I have a new picture book deal with Holt/Macmillan! This book documents the story of Alice Ramsey’s historic cross-country drive from New York to San Fransisco (the first all-girl road trip in the US! ), in which she was the sole driver, mechanic, and navigator at a time when everything west of the Mississippi River was yet to be mapped. 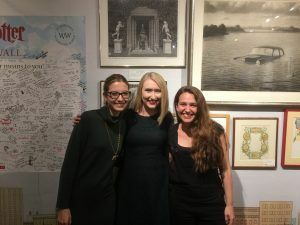 Alice’s adventurous spirit- and her determination to show the world that women are just as capable as men- really resonates with me, and I feel very fortunate that I get to help spread her amazing story. That’s all for now–I hope everyone who was celebrating the Thanksgiving holiday had a wonderful break!!! 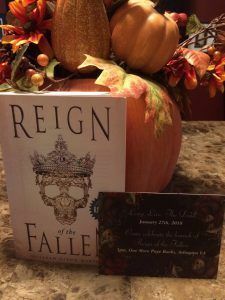 RSVP to the Reign of the Fallen Launch Party, where there will be treats and tiaras! Before I go, I’ll leave you with the answer to a question I’m receiving a lot lately: YES, there is a sequel to Reign! It will come out in 2019, and the final title is TBD. 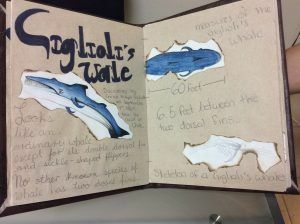 Amazing Fear the Drowning Deep Student Project! 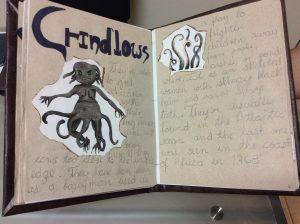 So here’s a thing that was brought to my attention a few weeks ago by a terrific high school teacher in Mexico: a small group of her students did a group project on my book Fear the Drowning Deep. 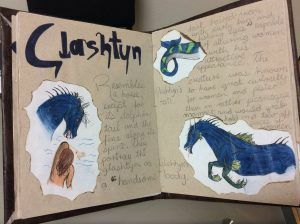 They created a real-life version of Morag’s book of sea monsters–the book in the story that Bridey relies on for help in her battle against the supernatural creatures plaguing her village! The pages do a great job bringing my vision to life, complete with thoughtful write-ups of each monster and some really cool art! 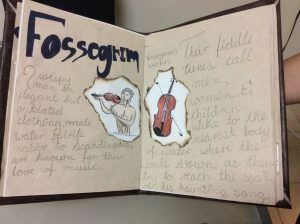 Their teacher kindly shared images of the project with me, and now I’m delighted and honored to share some of them here on my website for others to admire as well! *Disclaimer: None of these images belong to me; all belong to the students who worked hard to make this project! Thanks to the wonderful students who put this together! I hope you find many more great books to get excited about this year! 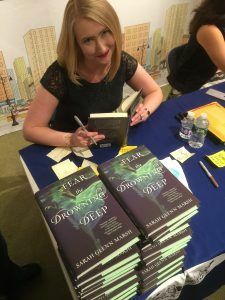 Fear the Drowning Deep Book Launch Party and Publisher Visits in NYC! FEAR THE DROWNING DEEP IS OUT NOW! That’s right…NOW! 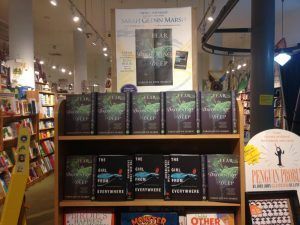 Fear the Drowning Deep display at Books of Wonder! And the week leading up to the book’s launch was…more than a little crazy. 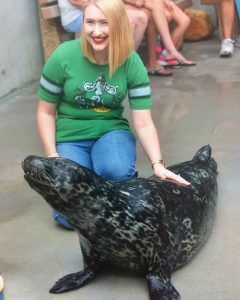 Two Slytherins headed for trouble! 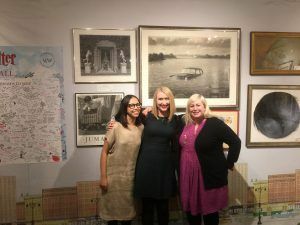 The week continued when we went up to NYC to visit some of my publishers–I saw all but two of my editors this past Friday, which makes me a very lucky lady indeed! Having lunch with my editor Kate, from Roaring Brook! My editor at Razorbill, the brilliant Jessica! My editors at Sterling Children’s–both former (Mel) and current (Eliza) came out to support my debut! 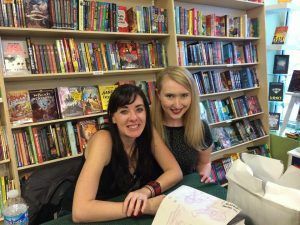 My YA agent Lucy, and my editor Jessica- I think we make a great team! 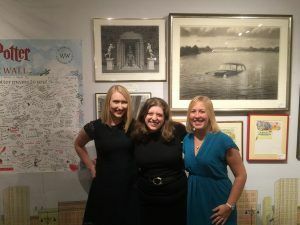 My PB agent, Christa, and my editor on FEAR, Alison! They helped shape my debut with many rounds of editorial brilliance! Signing stock for Books of Wonder! 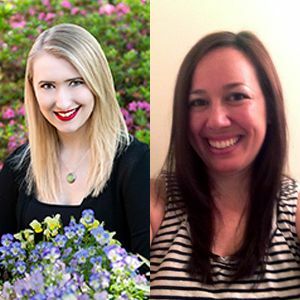 In conversation with fellow 2016 debut author Heidi Heilig! 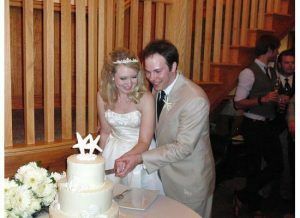 Lastly, the week culminated in my husband and I celebrating our *5th* wedding anniversary, so here’s a throwback photo in honor of that! It’s been a crazy week, but the fun isn’t stopping yet–I’ll be speaking on a debut author panel & doing critiques at the SCBWI Mid Atlantic fall conference this coming weekend! Can’t wait! New Picture Book Announcement & Event Updates! 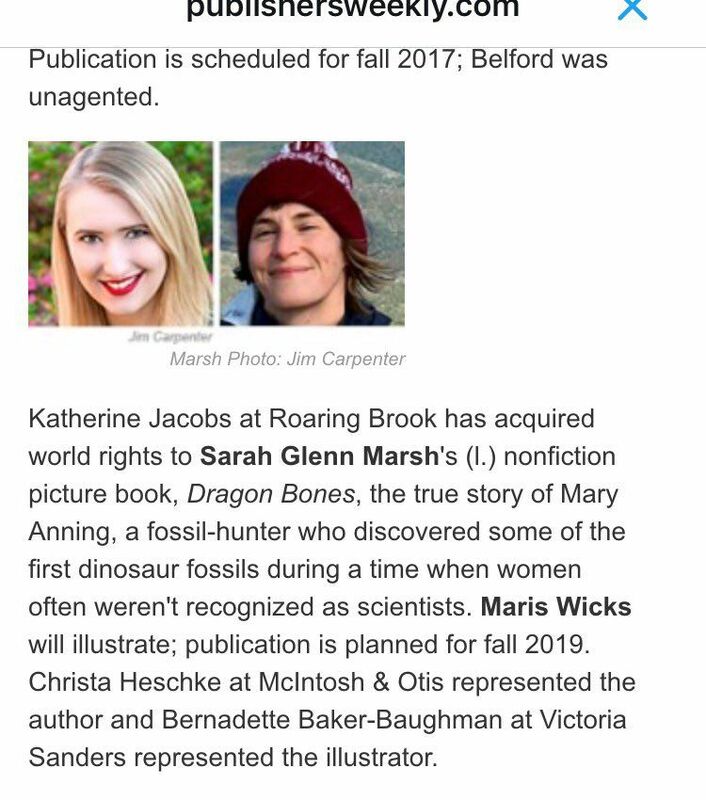 First of all, I’m thrilled to announce the sale of my book DRAGON BONES to Roaring Brook (Macmillan) and brilliant editor Kate Jacobs!!! 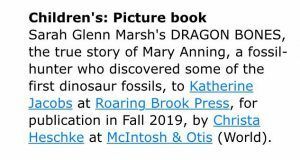 I’m so excited to share this story with everyone, and honored to be telling it, because Mary Anning had such an amazing life! I’m also thrilled to let everyone know that Books of Wonder in NYC has graciously agreed to host a launch party for my YA debut, FEAR THE DROWNING DEEP! If you happen to be in the NYC area on Friday, October 14th, I hope you’ll come celebrate with me! I’ll also be doing several book events throughout Virginia (Richmond, NoVa) during October & November, so check the “Events” page of my website to see if I’ll be near you! Hi there, Pitch Wars hopefuls! I had a blast mentoring a fantastic YA sci-fi in Pitch Wars 2015 and guiding my first mentee to success. This year is going to be twice as fun, because I’m co-mentoring with Shana Silver! 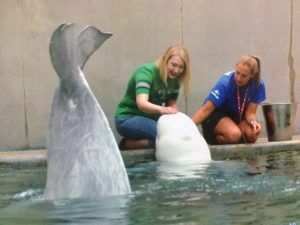 Read through our wishlist here, then click here to go to her website and find a letter for the scavenger hunt! Sarah Glenn Marsh (L) and Shana Silver, your co-mentor team! Shana and I are looking for YA manuscripts only. That being said, here’s our wish list! -Fantasy of all sorts, but especially epics. Also, historical fantasy in the vein of A Darker Shade of Magic. –Sci-fi of all sorts; give us Killjoys or Dark Matter or Farscape for YA! –Historicals featuring time periods not often explored in YA. Give us a YA book about Vikings, or something like And I Darken. *Note: we won’t be looking at much contemp, but in this genre, we’d love a YA version of The Big Bang Theory or Weeds! Bad boys who turn good, castles, ghosts, hate-to-love relationships, girls in STEM, mythology that’s rich and ever-present in a narrative, strong relationships of any kind (love, friendship, sibling), f/f romance, gorgeous writing, settings that become its own character, epic kisses, rivalry, girls with swords. ^ The above will be an auto-pass from us, so please don’t waste anyone’s time! Wondering why you should choose us out of all the amazing YA mentors? Let us tell you! This is my second year mentoring in Pitch Wars, and over the past couple years, I’ve mentored in many other writing contests like Query Kombat and Sun Vs. Snow. I’m also a mentor for Adventures in YA Publishing’s monthly First 5 Pages Workshop. And if your novel features bisexual characters, I can offer a sensitivity read as well. My Pitch Wars mentee from 2015, M.K. England, is now represented by Barbara Poelle of the Irene Goodman Agency; M.K. and I had a great time working together, and have become good friends! Also, she’s a Pitch Wars mentor herself this year, so be sure to check out her bio! Between picture books and YA (the two age groups I write for), I have 6 books announced/forthcoming: three picture books with Abrams Kids and Sterling Children’s, and three young adult novels, a historical fantasy with Sky Pony Press and a dark epic fantasy duology (with f/f romance, yay!) coming from Razorbill/Penguin. 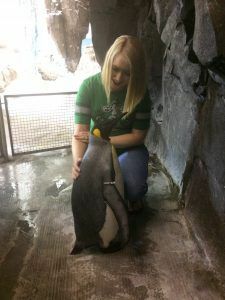 I understand how to write effectively for the YA market, and I’m willing to share all aspects of my own experiences–from the joys to the painful rejections–as I help you take your work to the next level. My support won’t end when Pitch Wars does, and it’s my hope that our 2016 mentee will view me as a friend for life! –I have two greyhounds, two Italian greyhounds, one Bourke’s parakeet, too many fish to count, and one husband-creature–in other words, I have my own small zoo! I also love to ride horses. In short, if you love animals, you are my people. –I’m very interested in genealogy and am descended from some fun people including Eleanor of Aquitaine and Isabella, She Wolf of France. –I love video games. Right now, I’m playing a lot of Fallout 4! 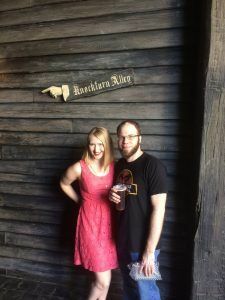 –I also love tabletop games, general nerdery, and attending cons. See below for a few photos of my con adventures! –Some of my favorite fandoms include Harry Potter, Lord of the Rings, Firefly, Game of Thrones, The Legend of Korra, and all things Marvel. 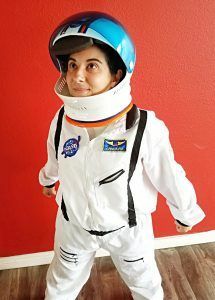 –The last sci-fi book I read and loved was Becky Chambers’s The Long Way to a Small, Angry Planet. –The last fantasy book I read and loved was Kiersten White’s And I Darken. 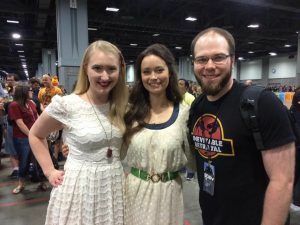 Nerding out with Summer Glau and my husband at a con! 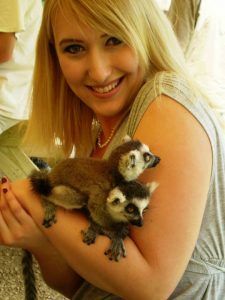 Having fun with baby lemurs in Michigan’s U.P.! This is also my second year mentoring Pitch Wars. Though I was never a participant, I entered quite a few contests a few years ago, such as The Writer’s Voice. In one contest, I received 10 agent requests! So I know how to create an entry that hooks (AND a query letter). Each time I queried, I had about a 90% request rate. I’ve also finaled in several RWA writing contests. I have formal training in creative writing from Syracuse University where I studied under some renowned literary authors. My short stories have appeared in a number of literary magazines. And I used to work in publishing in NYC! So I can offer insight from both sides of the desk. I also have a traditionally published YA book from a mid-sized press under a pen name. My strengths lie in query pitch writing, synopsis writing, line edits, figuring out solutions to impossible plotting problems, and enhancing voice so it leaps off the page. Like Sarah, my support continues after Pitch Wars! *We will give a brief amount of feedback (where we stopped reading and why) to any entrant from whom we request material. However, we will not offer feedback to queries we’re passing on, due to our packed schedules. 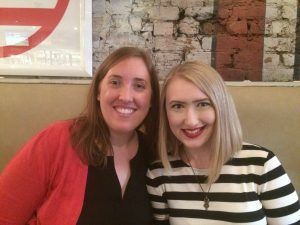 *With our mentee, I (Sarah) will be doing the big-picture editorial letter in September, which I’ll send to you fairly quickly after mentees are announced! 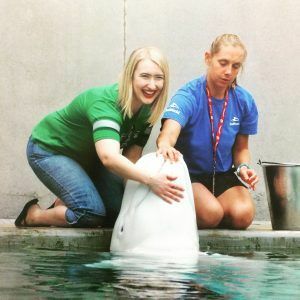 Then, once you’ve finished revisions, you’ll send the manuscript to Shana in early October, and she’ll do line edits and help you polish things up from there! *We will, of course, both be available for questions and commiseration and cheering at every step of the way! It’s been a while since I’ve updated this thing, hasn’t it? But to make up for the lack of posts this winter/spring, I’ve got double the good book news to share (okay, most people have probably seen it by now, but I’m documenting it here regardless!). First, I’m so pleased to announce that I’m doing another picture book with Sterling Children’s! This one is called SELFIE SEBASTIAN and is slated for Fall 2017 publication. While this is for younger kids, I feel like everyone will be able to relate to Sebastian and his quest to take the perfect selfie! 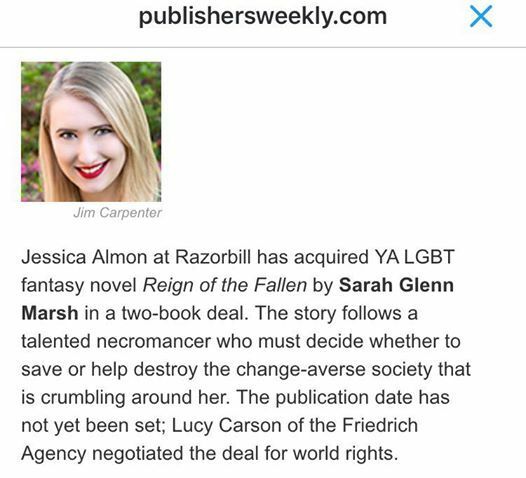 Next, I’m over-the-moon thrilled to announce that my dark epic fantasy YA duology, REIGN OF THE FALLEN, has found a home with Razorbill/Penguin!!! Huge thanks to my super-agent, Lucy Carson, for bringing me together with amazing editor Jessica Almon, who is as kind as she is wise! I know that this book, my beloved characters and world, are in great hands with her, and I cannot wait to share this story with readers everywhere! This is a story about necromancers, about love and death and letting go. It’s a book about friendship and, like so many of the beloved fantasies I read growing up, about persevering even when it seems all hope is lost. It’s a book about change, something many people (myself included) struggle with. It’s a book about a girl called Sparrow who always finds her way home. -Fear the Drowning Deep, my YA historical fantasy, publishes with Sky Pony Press on 10/4/16! -A Campfire Tail, a picture book, publishes with Sterling Children’s in Spring 2017! -Selfie Sebastian, a picture book, publishes with Sterling Children’s in Fall 2017! -Anna Strong: Daughter of the American Revolution, a nonfiction picture book biography, is forthcoming from Abrams Kids! 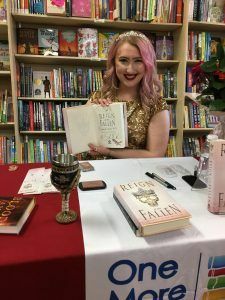 -Reign of the Fallen, a dark YA fantasy, and its sequel, are forthcoming from Razorbill/Penguin! As I think about all of the above, especially the news about Reign of the Fallen, a story that is so close to my heart that it’s like a part of me, I keep trying to come up with some good advice for other writers who are at any stage of pursuing their publication dreams. Yet I can’t seem to come up with anything particularly ground-breaking; after all, there are so many great posts about persevering in this mercurial industry already! 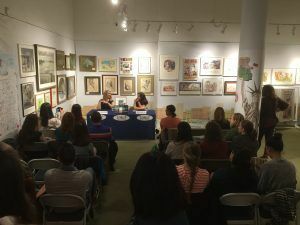 At first, I thought, “Well, good things come as a result of hard work,” but I’d argue there’s far more to publishing than just “working hard”–Sure, I work hard all the time, and so does every writer, because our stories are so important to us and that compulsion to tell more stories never goes away, even if it fades a little at times. 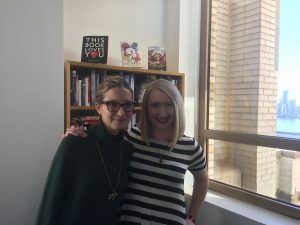 When looking at publication, there’s also luck and timing and the market, which are completely out of an author’s control, so sometimes putting in hard work doesn’t yield the results we want–and trust me, I’ve been there, too. 1) Staying off social media! I cannot stress how hard it is (at least for me) to put down any new words or have any creative energy after opening Twitter and seeing a bunch of book deals and foreign rights/film deals. I have to imagine this is also hard on others. It’s not that we aren’t happy for our friends, but social media tends to be a filter of only the positives happening in people’s lives, and our brains inevitably start doing that darn comparison thing, and…need I say more? Staying off of social media allowed me to draft like the wind on this book, and it’s how I plan to draft from now on. It put me in a much better head space and allowed me to focus fully on my storytelling! It’s great to make time to cheer for everyone’s good news, too, but above all–be kind to yourself. 2) Building a ‘love list’! What I mean by this is that to keep my enthusiasm about the book as high as could be while I was writing it, I made a long list of everything I loved about it. Things I thought were cool about the world I’d built, favorite character moments, songs that reminded me of the story or helped inspire it (random fact: REIGN was written almost entirely to Halsey’s Room 93 EP and Badlands album), lines I’d written that I liked–any tidbits that made me feel excited about the story all over again. 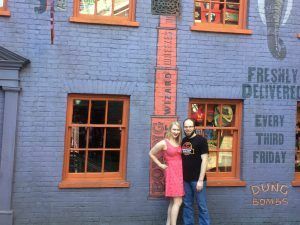 I believe I got this idea from a brilliant post on Pub Crawl, and reading over that book love list really helped me to draft on days when I wasn’t really feeling confident or inspired at the outset. Try it–it works wonders! As for me, I beyond grateful to Sterling and Razorbill for welcoming me and my books! I can’t wait to share these stories with you all!!! Good News to Start off the Year: CAMPFIRE SCALES Sold to Sterling! I’ll let the above screencap of the Publisher’s Marketplace announcement do most of the talking for me, but I just wanted to add that Sterling Kids does some amazing books, and I’m thrilled to be working with them!